Riyadh - 18 May 2017: In its eagerness to make everything new and distinctive, and its quest for continuous improvement and development, Burj Rafal Kempinski has recently added chef Mesut Ozkan to its list of employees - the master of chefs to luxurious hotels and restaurants, and the one who launched a new menu at Tuğra restaurant, adding his unique magical touches. Chef Mesut has nine years' experience, spent between Four Seasons, Sheraton and Divan hotels in Turkey, and at Stephan Pyles restaurant in Dallas, Texas, in the United States, in addition to winning several gold medals from international cooking contests. And about his experience at Burj Rafal Kempinski, chef Mesut said, 'It is my great pleasure and honour to join the group of chefs of Burj Rafal Kempinski hotel, and I hope my work with them adds a special delight to the hotel with my own cooking method, and offers the authentic Ottoman cuisine.' The chef Mesut also mentioned that he currently offers the Sultan dinner buffet every Wednesday from 7:00pm to midnight, plus the distinctive special Ottoman dishes offered by him daily at Tuğra restaurant. The Chef Mesut menu includes the Seafood Reştiyye dish, home-made Ottoman-style village pasta with Dover sole fish, and jumbo prawns tossed with shellfish saffron emulsion sauce. 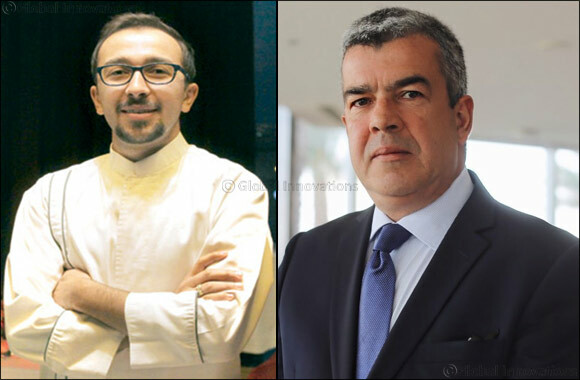 In the same context, Mr Juan Uribe, General Manager of the hotel, has declared that all Burj Rafal Kempinski employees are happy to have Chef Mesut Ozkan, pointing out the hotel's eagerness to attract the best experiences in all fields and look for what is special and unique to offer what's best for the hotel guests and visitors. It is worth mentioning that Tuğra restaurant has won the award of 'Best Eastern Mediterranean Restaurant of the Year' in the GCC by Gulf Food and Travel Awards, organised by the Bahrain Tourism and Exhibitions Authority for 2016, assurance honour for the uniqueness of the hotel and its excellent location on the map between several luxury hotels in the GCC, and the speciality of Tuğra restaurant, which always tries to offer the finest culinary creations in Ottoman cuisine.